Lessons from Matt are really interesting! Matt teaches the whole of my family with different levels and individual topics! 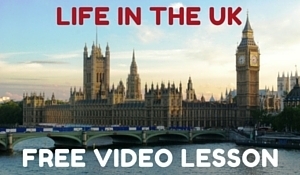 You can perfect your own level of grammar and real life conversation English, knowing and understanding English culture! All of it allows me to continue learning English! Do you want to improve your English and prepare for an English exam to study abroad or to get a new job? Maybe you want to demonstrate your level of English with an internationally recognised exam to get a visa. British English Online has exam preparation classes that can help you prepare for IELTS, TOEFL or Cambridge exams and get the results you want. One-on-one exam preparation classes can focus on any of the four skills tested (reading, writing, speaking and listening) depending on which area you need most practice in. Also included will be guided study to help improve your grammar and vocabulary for the different modules as well as useful techniques and tips for improving your exam taking skills. What is the difference between these exams? IELTS (International English Language Testing System) is a test to demonstrate an ability to communicate in English for education, immigration and professional accreditation. Universities in the UK often request an IELTS score to study on one of their courses, such as a Master’s degree. IELTS is recognised in over 135 countries by more than 6000 institutions. TOEFL (Test of English as a Foreign Language) is a test to measure understanding of the English language as it is heard, spoken and written in the university classroom. It is often used as an English test for studying abroad and immigration purposes and is recognised by over 8,500 colleges, universities and agencies in 130 countries. Cambridge Exams are accepted by thousands of universities, employers and governments around the world and are used to demonstrate English language proficiency for visa regulations, for higher education and for future employers to improve job prospects. Popular exams include the KET (Cambridge English Key), FCE (Cambridge English First) and CAE (Cambridge English Advanced). Please note, British English Online is not an exam centre and does not provide these exams but can provide information about where to book them and how to apply.